I started out as a poet and became a perennial student in love with learning, raising five children and married to a man building a boat in the back yard. When the kids were pretty well grown, I became a community college English teacher, but with a shock realized that though I could write essays and research papers and a master’s degree worth of poetry, I couldn’t write stories. I spent years and loads of money in various programs, teaching myself to write stories. The long version of this journey is in Creating Juicy Tales, a book published from my PhD dissertation by an academic press in 2009. I thought it might be useful for my creative writing students. However, I was stunned to learn the publisher had total control of the price, which they set at $113.00! Because I had then started to deduct writing expenses from my taxes and due to my possible misunderstanding of the IRS rules, I felt I had to publish more books to fulfill the make a profit at least two years out of five, so in 2012, I created my own Gorilla Girl Ink and a bit of my poetry in So Sweet Against Your Teeth, then in 2013 published House of Cuts and so began this series and now I’m rolling along as a writer/publisher—very happy at it, too! House of Eire is the 3rd book in your Hillary Bloom series. Where did the inspiration for this series come from? My husband was a reporter for the Los Angels Times, Sacramento Bureau, and was called “Dean of the Capitol Press Corps” as he’d been there for 35 years, beloved as a mentor for many young journalists. In fact, he thought he WAS his job. He was stung to be forced into early retirement in1995 in one of the Times drastic cuts to their workforce as the newspaper business began its long slow decline. I hurt for him in his pain—it was almost as if the paper had killed him—at least murdered a big part of his soul. I was teaching creative writing at that time, and in one of the class writing times, when I always wrote along with the students, I wondered what would happen if a person forced from his job was a butcher. What if the butcher had been devoted to his small shop all his life, and to lose it meant he was nobody. What if he wanted to get back at the big company responsible for his loss? That led me to my villain, Melvin the butcher, and House of Cuts took off from there when reporter Hillary arrived on the scene and was drawn into stopping this fictional humiliated butcher, gone over the edge. 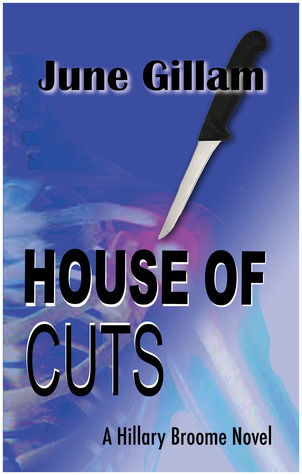 Did you have several story lines ready before you started the series with House of Cuts (book 1). or did each new story develop after the previous book was released? Each new one developed on its own. With each one, I try to explore a villain who is overwhelmed by forces beyond their control—Melvin doomed by the superstore in Cuts, Violet by a patriarchal family business structure, and Seamus by a greedy theme park developer, loosely based on someone in the news nowadays who builds various entertainment venues in places where the locals are often distressed at this development. I love the oh so imperfect Hillary Bloom. She's not tall, doesn't have the a model's body and makes mistakes. Readers can relate to her. Where did the inspiration for this character come from? Hillary started out as a minor character in a novel featuring a character named Amy who is half Miwok Indian but does not know it because her mother died giving birth to her and she was raised by her narrow-minded father. Hillary was a reporter in that novel but she became such a strong force that my critique group friends revealed to me that I had two stories, not one—Amy’s story and Hillary’s story. 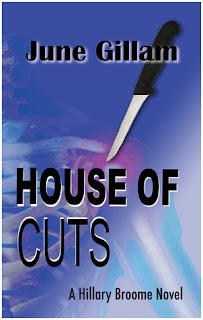 I went through an arduous process of separating the two novels and the Hillary one was calling the most insistently, so that superstore setting with the berserk butcher became House of Cuts. I’m now on book four of Hillary’s saga, and I think it might be the final one in the series where she takes on her main character arc of mother issues and resolves it—but book five is starting to form as House of Crows. Hehehe. Amy’s book, now Cup of Stone, is waiting in the wings ready to jump on stage when Hillary’s stories are complete. The chore I can’t handle is filing! Both the paper filing and the filing on the computer. I am so right brain, I like everything out where I can see it. I struggle with file folders and drawers and how to name folders and how to remember what I named them! For example, right now, my office (really my dining room used for that) contains a big table covered with reference books, stacks of various drafts of various novels, binders from beta reader printouts, half the pages of which I’ve taken out and used the back side of to print manuscript pages for my various critique groups—both my pages and their pages they email ahead of time. Then on some of the dining room chairs are boxes of materials for the memoir on my union activist mother I started when I took a class on non-fiction from Wallace Stegner’s daughter in law, Lynn Stegner, last spring as part of the Stanford novel-writing-program I just completed. On the buffet is my printer and box of passwords for various things—crazy makers those passwords. In the little two-drawer file cabinet is the first half of the alphabet in the top drawer and the rest in the bottom. Here I hope to find Board of Equalization tax forms, ISBN numbers from Bowker, contests I’ve judged, writing groups I belong to, blah blah blah—too much good stuff! My perfect life would include a secretary to help me with all this filing! What I love most is the writing itself, the first drafts and the revisions, too, and getting feedback from critique partners. First thing in the morning—coffee, French Roast with milk. Then I love to get straight to my writing—I’m trying to write 1000 words every morning on House of Hoops, but have been interrupted by family vacations this summer, as every summer, time spent and well worth it! In the school year, I teach English literature and creative writing, so that is for most afternoons. I do a lot of research—some by going places such as Ireland three times for Eire and The Big Island last summer for Hoops and other times using good old Google. I haven’t spent enough time on marketing but plan to start when I retire from teaching in 2017 or 18. 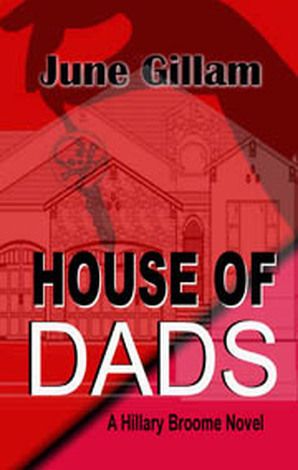 Then, I hope to publish other writers books also, through Gorilla Girl Ink publishing company. That I am obsessed with writing and reading and being with writers and readers—I love being in writing groups and actively helping others to make their writing visions become reality such as being a mentor in our Gold Country Writers group and secretary at a new branch of the California Writers Club we are starting at UOP in Stockton. I also love meeting readers at events like the Californian State Fair where I’ve been in the Authors Booth since 2013—love talking books! Maybe take a class such as what I teach online through Delta College, also join writer’s groups for cheerleading and support—be sure the people you deal with are positive though. Try to understand what kind of feedback you need and want on your work—when folks are just starting out, generally accentuating the positive is most helpful, but as time goes by most writers learn to grow a thicker skin and treasure the gift of compliments and also of questions and suggestions for what might make the work come across to a particular reader more effectively. Don’t give up. Stay with it. Pay attention to that voice inside and give it free reign—time enough later to edit.